As Steven Smith pulled the winning boundary to crush a New Zealand fairytale and clinch a fifth World Cup for Australia on Sunday, Michael Clarke's side celebrated a glorious end to a journey marked by a period of self-doubt and grief for a fallen teammate. Captain Clarke retires from one-day cricket with his legacy intact but his team will charge on to the 2019 tournament with renewed belief in their ability to re-generate, adapt and rebound from the stiffest of challenges. 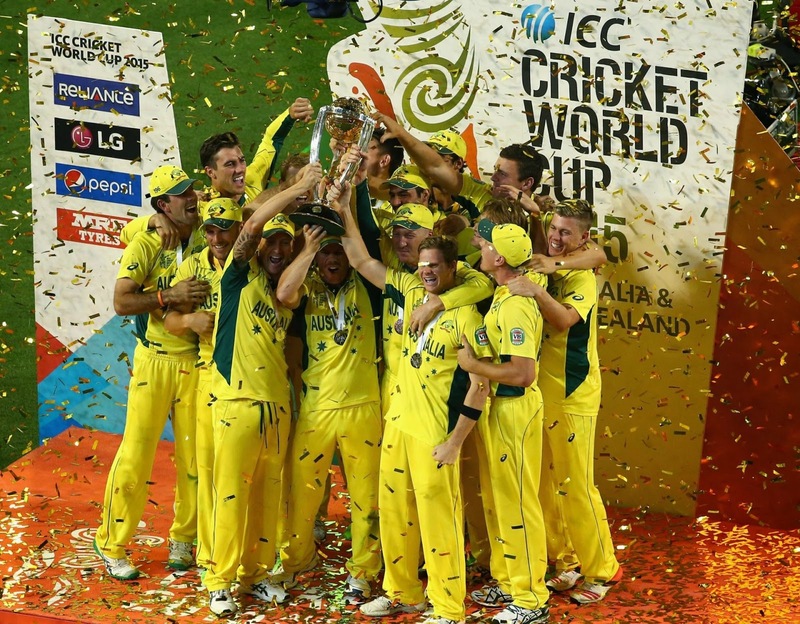 Two years after their annus horribilis of 2013 and less than three months after the death of batsman Phillip Hughes, Australia resumed their dominion of world cricket with a ruthless seven-wicket victory at the Melbourne Cricket Ground. Brutal in the ultimate back yard battle against the 'little brother' from across the 'ditch', Australia's fifth world trophy may be regarded the sweetest, having played out in front of a record home crowd of 93,013. 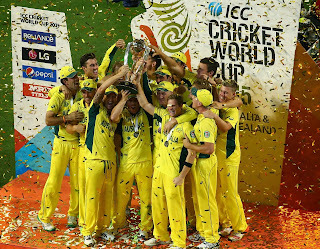 Australia have won four of the last five World Cups, an astonishing record of dominance unlikely to ever be repeated. Roared on by canary-yellow fans in the terraces, Mitchell Starc bowled New Zealand's totemic captain Brendon McCullum for a third-ball duck, setting the tone for a banner day for the hosts' pacers who skittled the visitors for 183. Clarke made the most of his swan-song, plundering a team-high score of 74 runs as Australia emphatically wiped away the stain of 1992 when they were knocked out early in their first World Cup on home soil. Clarke and all-rounder Shane Watson enjoyed their second such triumph, having toasted success in the 2007 World Cup in the Caribbean.